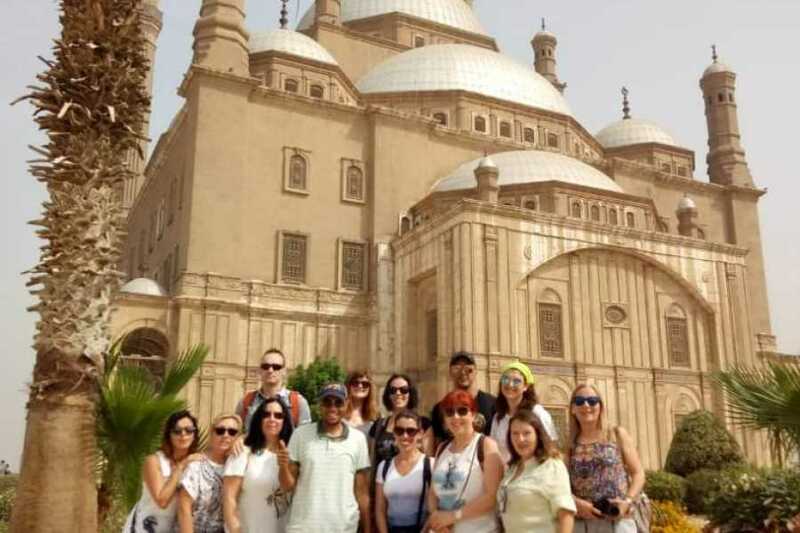 Experience Cairo’s highlights on a full-day sightseeing tour to the Egyptian Museum, the Citadel of Saladin, Mohamed Ali Mosque and Khan El Khalili Bazaar, and immerse yourself in the city’s rich history and vibrant culture. Discover Pharaohs’ hordes, crumbling mummies and gleaming antiquities as you visit the museum with a local guide, then take in the views from the Citadel’s medieval fortifications. Pause for lunch at a restaurant, see the soaring architecture of an iconic mosques and browse for souvenirs and spices in the colorful stalls of a bustling souk. 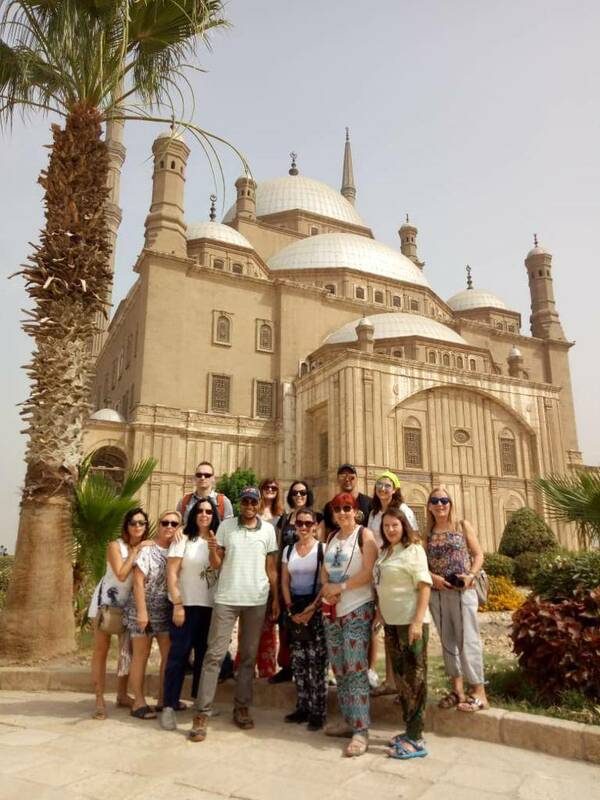 Your tour begins at 8am pickup from your hotel Cairo or Giza, your expert tour guide will start your full day tour by visiting the Egyptian Museum of antiquities. It displays the largest and most precious items of the Egyptian art in the world. It also exhibits a rare collection of over 250,000 genuine artifacts that date as far back as 5000 years, including an exclusive exhibit dedicated to the Tutankhamon - A collection of treasures, gold, and jewelry that were buried in his tomb for over 3,500 years before they were discovered in the 1920s when his tomb was excavated. Continue your day to the Citadel which is is comprised of a number of important monuments: The Mosque of Suleiman Pasha, The Alabaster Mosque, Joeh's Walls and Mohamed Ali Pasha Palace. Lunch is included in between visits at local restaurant based on full Meal for each person (drinks not included). After lunch head to the Khan El Khalili Bazaar. With innumerous shops in this district are known for trading fine brass ware, copper, perfumes, leather, silver, gold, antiques and much more. You will be sure to pick up a souvenir as a memory of your time in Cairo. Your tour ends with drop off at your hotel.